At Helpertech you’ll find friendly technicians who can solve Samsung Repair problems in Apple Valley. From iPhone repair and iPad repair, to computers, laptops, and game consoles. Whether you’re looking for computer service, phone repair service, or other electronics repair – our expert techs are here to help! We can come to your home or office to perform any service you need. Or, if you’d rather visit one of our stores, walk-in’s are welcome! Get Helpertech to fix your iPhone screen repair Apple Valley, your battery, or any other phone repairs you may need. Our friendly staff will repair your phone fast, while you enjoy free coffee and refreshments, play old school Nintendo, or watch some Netflix in our customer lounge. 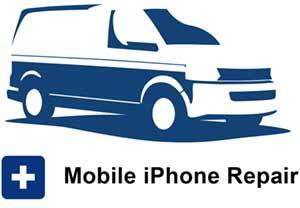 Come see why people that need Apple Valley phone repairs trust their mobile phone repair to Helpertech technicians! Get in store credit with all Samsung Repair. Choose from great accessories such as phone cases from Speck, Spigen, Under Armour, UAG, and more. Plus Bluetooth speakers, screen protectors, charging cables, and other great accessories. 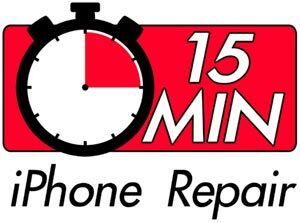 ★★★★★ Cassie in Burnsville has fixed my phone multiple times and is professional, knowledgeable and courteous! ★★★★★ Quick service, in and out. Cassie helped us out with our iPhone 6s battery! We’ve been fixing technology since 1995, providing in-store and onsite service as a locally owned business. We’ve been fortunate to serve the local area for years, with our stores and service offerings evolving with the fast pace of modern technology. We offer fast iPhone repair, iPad repair, and mobile phone repair on most major brands – including Apple, Samsung, HTC, Dell, Motorola, LG, HP, and more! Is your cell phone touchscreen unresponsive after it was dropped? Stop in to our store, and our technicians will help with your device on the spot. After a quick diagnostic overview, we can evaluate your phone to see if it makes sense get our phone repaired, or maybe look new phone replacements (we have refurbished options). For issues like cracked screen repair, broken glass replacement, battery replacement, virus removal, memory upgrades, data recovery, replacing your home button, water damage repair…and pretty much anything else that can go wrong with your technology! Our focus on customer service and repairing with a fast turnaround has afforded us a great reputation with amazing 5 star reviews from our customers in the Apple Valley area. Get your phone fixed or replaced with top notch technicians and top quality parts. We’re happy to be a part of the local Apple Valley community, and provide our services to you. Helpertech can help you with Samsung Repair. Take the next step and get your broken phone repaired! We’re your best local cell phone repair shop, for broken screen, shattered glass, or even a new screen protector – to help make sure your phone screen does not get damaged again. Are you trying to trade in your old cell phone, but you need to repair the screen first? We can help! We provide FAST turnaround with no appointment needed. So, just swing on by, get your screen fixed, and go grab your new phone all on your lunch break! Contact us now to speak with an expert over the phone, via email, or swing on into our store and we can talk face to face. We strive to provide the best mobile phone repair Apple Valley has to offer, along with excellent customer service to our customers. If you read our reviews you can see that our friendly staff makes an impression on all guests! Let us help you with whatever it is that’s causing you frustration with your mobile devices. Whether they are broken, failing, or you just have questions – our techs are here to help. You can contact us using the short form below, and we will quickly respond to answer your questions and provide the information you need. Feel free to call us at 952-479-8363 with any questions you have too, and one of our friendly technicians will be happy to discuss your situation and work towards a resolution. Or, you can just stop on in! No appointments are needed, so just swing in whenever it is convenient for you – we can fix it. You can ask us anything, request a call back for support or just get a service call started. Just let us know what we can do for you! 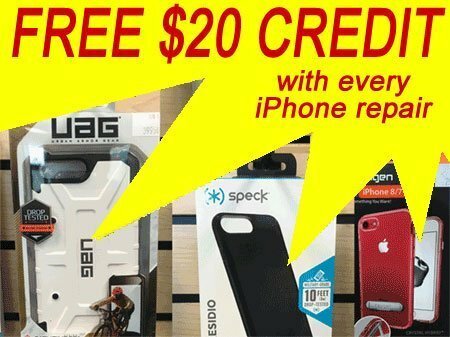 *Get $20 in store credit with all in store iPhone repairs! Choose from great accessories such as phone cases from Speck, Spigen, Under Armour, UAG, and more. Plus Bluetooth speakers, screen protectors, charging cables, and other great accessories. No appointment is necessary for service at Helpertech. You’re welcome to contact us to speak with a technician, or simply stop into one of our stores when it’s convenient for you. At Helpertech we take pride in serving our customers with excellence and creating long-lasting relationships with them. Our outstanding reviews are a testament to our service commitment, and you’ll find that we always listen to your problems, questions, and concerns, in order to best solve your exact issue. 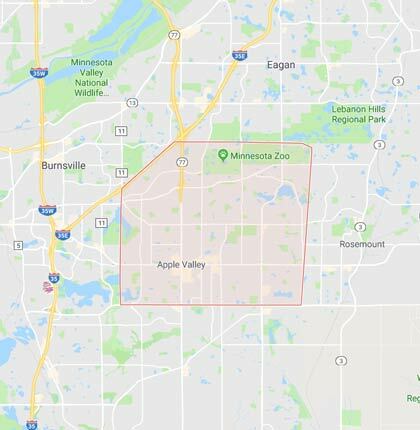 We are proud to serve our customers in the Southern Twin Cities Metro and greater Apple Valley, MN areas.